Can We Ever Discover the Fabric of Reality? A perennial theme of humankind, transformation as a basic change in character, cognition, and direction has been explored in religion, psychology and art. Rites of passage, as a summons to wisdom, can include a psychological and sacred dimension. It addresses the question of how a person finds a personal path worthy of the soul. We're taught to strive for this mythic "thing" at the physical, mental, and spiritual level. Transformation is thorough, radical and dramatic -- a power that can be deployed for good or ill. In psychology, transformation has been curiously defined as "the procedure used when unconscious desires or urges are costumed in order to emerge in consciousness." Psychobiological transformation is a key theme in depth psychologies. It begins at the point where there is no hope and lead through overwhelming challenges, fraught with depression, fragmentation, resistance, symptoms, pain and anxiety. We are at our most vulnerable at the threshold of transformation. A state-of-the-art empirical foundation is essential for any well-grounded philosophy of life and realistic self-concept. We have limited subjective fantasies about ourselves and the nature of the universe all the time. Usually we do not examine our a priori beliefs which condition those notions. We grasp our beliefs as though they were the most precious of gemstones, rather than just models or constructs, only a simulation of ourselves and the world-at-large. From our worldview come symbols and images which a small part of our brain, and an even smaller part of our mind and consciousness clings to, attempting to structure reality out of chaos. Understanding the poetry and art, we can still pursue our sacred science, amplifying and updating our terms with contemporary metaphors. Alchemy is a mode of perception equally concerned with psyche and substance, mind and matter. In alchemy all matter has soul. Alchemy frees our creative magination -- esoterically-trained imagination -- by providing a matrix within which we can dissolve and transcend our old boundaries. Chaos is a bridge for unfolding "heaven on earth," a means of manifesting spiritual energy that is not only creative but inherently healing. The alchemists tried not only to change base metals into gold but also rejuvenate their bodies, integrate their personalities, and perfect the very essence of their souls. 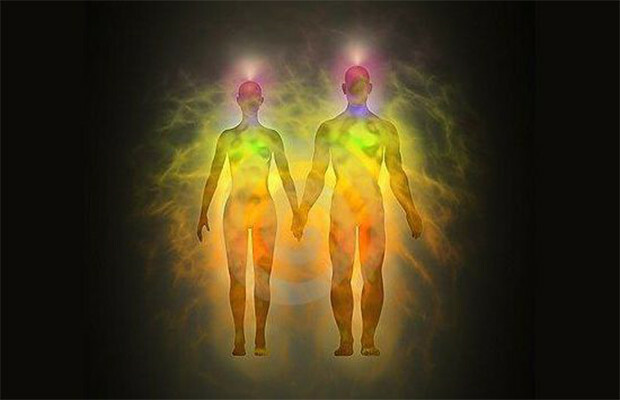 Although they spoke of retorts, furnaces, and chemicals, they were really talking about synchronous changes taking place in their own bodies, minds, and souls. The Transmodern Alchemist, like his or her medieval or Renaissance counterpart, is rightly concerned with the true nature of reality. The great enigmas of our existence remain the riddle of matter, the origin of the universe, the origin of life, and the human mind or consciousness. Since matter remains a paradox, our Work means learning more than the Standard Theory of physics. New research and heterodox theories stimulate our imaginative and spiritual thinking. Each theory adds another piece to the puzzle of existence and meaning and might potentially lead to breakthrough on the bench or in consciousness. They describe novel transformations and transmutations, how we might find longevity, rejuvenation, regeneration and even "immortality." THE TRANSMODERN ALCHEMIST hacks the undifferentiated potential, exploring the theoretical usefulness of Dynamics for modeling processes in the alchemical art. Dynamics is an organic model, an alternative to mechanistic or cyber- models of process. It prioritizes life as the root science. Alchemy is a multidisciplinary pursuit focusing on mystic technologies, spagyrics, healing, life sciences, metallurgy, chemistry, dynamics and physics. Transmodern alchemy is a new Renaissanc science-art -- a treasury of psychophysical meaning. Alchemists sought the experience of Unus Mundus, the one world united through material, emotional, mental and spiritual aspects. Science illuminates the spiritual quest, and spiritual tech illuminates the deep nature of matter and our nature. Alchemy is an artform. In the 20th Century, Carl Jung described alchemy in terms of depth psychology and shed new light on esoteric science. TRANSMODERN ALCHEMY can be viewed as a dynamic process in terms of Chaos Theory and its related sciences. Dynamics is a revolutionary universal tool, a novel practice which helps us grasp the processes of development in ourselves, in nature, in our world and the cosmos. Dynamics is a synthesis of recent scientific advances and theories: system dynamics, living systems, general systems, chaos, edge-of-chaos, complexity, emergence, complex adaptive systems, quantum gravity, quantum cosmology, attractors, homeodynamics, and self-organization. Scalar physics, vacuum fluctuation, Zero Point Energy (ZPE) and holographic paradigm are also relevant for describing emergence and drawing back the Mystic Veil on nature's processes. 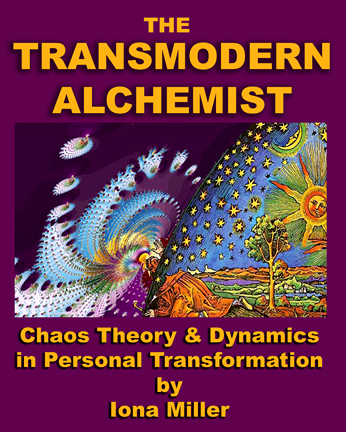 "CHAOS THEORY & DYNAMICS IN TRANSMODERN ALCHEMY" Transmodernity is a synthesis of overlapping paradigms of modernity and postmodern philosophy. Trans- is the prefix that guides the vision of reality as virtual and fluctuating, as in transformation and transmutation. Medieval alchemy was couched in archaic language, but we are not limited to that. New discoveries, long anticipated by alchemy, inform our practice. Dynamics is a universal tool, a novel practice which helps us grasp the primordial groundstate of being through processes of emergence, self-organization, coherence and nonlinear development. Chaos, the prima and ultima materia is integrated in the new paradigm where real and unreal are no longer opposed. All potential information about the universe is holographically encoded in the spectrum of frequency patterns constantly bombarding us. Alchemy is a spiritual technology of transmutation, which like the Philosopher’s Stone, can take on the projections of theories from psychology to life sciences to physics. Mindbody is the same substance as Cosmos and contains and reveals its mysteries, including natural healing. Because chaos theory addresses disequilibrium, discontinuities, and the emergence of new states of being, it offers metaphoric models of "creative illness" that profoundly affects the person and the work produced. Evidence suggests that it is not only the illness, but a person's resilient response that leads to a new stage of life and new work. We emerge from the ordeal with personality transformed, new coping strategies and the conviction that a great truth or a new world has been discovered. We turn inward to be born again by unblocking the energy formerly contained in the symptoms. Imagery and art are therapeutic mechanisms. Old stresses and traumatic imprints are released and a new multidimensional identity is discovered. The inner physician heals thyself. It is a transformational healing experience, an influx of creative ideas and a permanent personality change -- spiritual transformation. Through spiritual technology we learn to still the turbulence within by resting in the restorative state of cosmic zero. We are impelled by our very being toward self-cure. The unimaginably vast and the infinitesimal are simply connected at Zero Point. Nature is self-referential like fractals. Connection is as fundamental as structure. Alchemy is an accelerated path to enlightenment, a state or phase change to a higher order adaptation and function. Magic happens in the gaps between breaths. Realizing this moment neither begins nor ends, we realize deathlessness. That which is never born, never dies. To embody the Philosopher's Stone, we reiterate the whole process of creation. The Stone is a psychic lodestone or vortex. It 'magnetically' orders the contents of our consciousness around it through reflexive feedback loops in chaotic yet meaningful fashion. Instinctual attraction toward processes that dissolve the ego and liquify consciousness leads to transpersonal experience via symbolic death/rebirth. We experience deep states of emotional turbulence in initiation ordeals and in the merger of subject (soror mystica) and object (frater). It implies a flowing state of consciousness, facilitating feedback with Source or the groundstate of consciousness via creative regression. Chaos Theory, as well as alchemy, provides a more than metaphorical language for describing the flowing dynamics of the chaotic process of psychological transformation. Alchemy is chiefly concerned with transmutation of metals into gold and discovery of the Universal Medicine in a psychophysical science. It is a comprehensive mythological system of symbols and metaphors, beings and stories, geometries and diagrams, elements and heavenly bodies, designed to represent aspects of the human psyche and spirit, as well as providing deep awareness of the nature of the Universe. I have seen gold thick in the depths of the double mercury. I have seized its substance and surprised its changing. The one plant and the other vine-stock, are the bread and wine. Each technical or symbolic language seems like learning a foreign language, but becomes second-nature once we sense the overall gestalt. It takes contemplation and consideration of implications. We unpack them one metaphor at a time as we descend into more rarefied domains of existence, from particles to the subquantal world of the microcosm. Motivation theory suggests if we adopt a mastery orientation to our subject, we will exhibit all the productive learning behaviors we know will work. If we believe we have the natural ability to learn something, we adopt a mastery orientation even if challenged in that area. Simple concepts, not mathematical details, from dynamics and physics are all that is required for illuminating alchemical practice. Our worldview has evolved to include quantum physics and dynamics in our models of reality. In the 20th Century, Carl Jung described alchemy in terms of depth psychology and the physics of his day, shedding new light on an old science [see THE MODERN ALCHEMIST, Miller, 1994]. This describes the transformation of personality and Self framed on alchemical principles. But both disciplines continue to redefine and refine themselves. The alchemical process is its own solution. Jung's notions of the centrality of a heroic, striving Self have been transcended with imaginal, nonlinear models of consciousness, archetypes as strange attractors and healing fictions. Can we expect any less from 21st century alchemy itself? THE TRANSMODERN ALCHEMIST describes the dynamic blueprints of nature, stripping away Nature's etheric veil, revealing naked awareness. We get out of that contemplative process what we put in. Once you get it you see the basic concepts are pretty simple. Absolute space is the cosmic zero of our being and when we understand identity with that primordial awareness we have the quintessence. It dwells within us and sustains us from the core of each and every radiant particle of our being and the virtually infinite space between. We need to live every moment from that place, that realization. Transmodernity is the synthesis of modernity and postmodern philosophy, reflected in alchemical notions of transcendence, transformation and transmutation. So what might a chaos-informed Transmodern Alchemy look like? First and foremost our existential state space is in flux. We've moved beyond our chemical skin bags into growing awareness of our energy bodies and the first glimmerings of our nonlocal virtual nature. Phenomena no longer correspond with old-paradigm frameworks. Take, for example, our subject experience of time. In Fabric of Reality, physicist David Deutsch explains that we do not experience time flowing, or passing. Instead, we experience differences between our present perceptions and our present memories of past perceptions. He states that we interpret those differences, correctly, as evidence that the universe changes with time. However, we also interpret them incorrectly as evidence that our consciousness or the present or something else moves through time. Philosophy can be part of everyday life. Alchemy sought the hidden structure of matter. Trans- is the prefix that guides the vision of reality as virtual and fluctuating. At the subquantal range of virtual photon flux, this is literally true and the metaphysical substrate of manifestation. At the virtual level, the fiction of ‘reality’ as substantive is revealed and the transparent veil is ripped away. Self-organizing dynamic transactions combine the positive momentum of the modern philosophy with the emptiness of the Postmodern, the longing for unity of the former and the fragmentation of the latter. Our comprehension of the physical world has been transformed. We are wavefronts in local space, undergird by the vacuum fluctuation of absolute space. More than one researcher is now suggesting we may find mini-blackholes at the core of all subatomic particles. Material reality, as formation, atom, mass, power, space, time, etc. is an outworn concept that brought order to a Newtonian universe. We are now less concerned with the figurative contents of space than with the dynamic fields of the hyperdimensional creative groundstate itself. Nature herself calls us toward a deeper understanding, some of which is poetic and some of which is scientific. She requires us to make the experiment on ourselves to penetrate her Mystery. If we seek knowledge through occult means, that is because Nature literally still hides her secret self from direct observation. But magus Aleister Crowley saw her becoming vision when he declared, "Infinite Space is the Goddess Nuit." Physics defines the nature of nature. There are two branches of physics: theoretical physics predicts and explains the physical behavior of nature, while experimental physics gathers data by observation of physical phenomena using controlled and natural experiments. Theory provides guidance to experiments. The results of either are not always so clear-cut and are subject to interpretations and scientific revolutions. Thus, we have the Standard Model, Multiverse, M-theory, Holographic, Transactional and various Aether theories, to name a few. A comprehensive theory has to account for both cosmogenesis and quantum weirdness. There is no consensus in physics. Further, some science around zero-point energy has been actively suppressed. Concerned with different aspects of nature, theory and experiment have a symbiotic relationship as do the spiritual and practical branches of alchemy. Theoretical advances overturn old paradigms. Generally, theory proposes and experiment disposes. But spiritual alchemy is more than theoretical. It is a form of gnosis or direct knowing and observation through meditatio (meditation). What could be more focused than riding a photonic beam down to cosmic zero and on through the looking glass? THE TRANSMODERN ALCHEMIST explores the theoretical usefulness of Dynamics for modeling processes in the alchemical art. Alchemy is a multidisciplinary pursuit focusing on mystic technologies, spagyrics, healing, life sciences, metallurgy, chemistry, dynamics and physics. Like science, it uses thought-experiments and benchwork. The absence of "solid" matter invites us to take a revolutionary view of today's alchemy as dynamic process using Chaos Theory and its related sciences to inform our search. Dynamics has successfully explained many natural phenomena and been heralded as a new scientific paradigm. The quintessence is now found in nonlinear dynamics, the holographic field and the virtual vacuum of absolute space. In human terms, we find it in our own photonic emissions - bioplasma. Only when we comprehend the groundstate of being can we fathom reality. It fundamentally changes our alchemical and scientific notions about transmutation and transformations in ourselves, matter, systems, patterns and structure. Psychology and neurology now recognize the psyche and brain as a dynamic dissipative system. Its holographic nature has also been described. Therapeutic techniques lead to reorganization of the individual at a higher level of order. Medicine realizes chaos is essential to health. The artworld recognizes the aesthetic appeal, rhythm and beauty of fractals. However, the poetic science of alchemy made a workable theoretical and experimental system in which chaos was central centuries ago. Each era views nature from the paradigm of its time. Chaos now means more than it ever did. Paradoxically, it has finally revealed its higher order emerging from the complexity of life. Chaos theory, interdependence of energy and event, is part of process philosophy. Time, contingency, emergence, novelty, creativity and change are metaphysical. As in alchemy, alteration, striving, passage, and novelty-emergence become important in our functional understanding of the real. The initiatory process sets up the initial conditions. Single-minded focus on awareness is gnosis. Alchemy prescribes a deeply-coherent triple-process remedy, first addressing stress, anxiety and depression. It addresses them with a fundamentally different worldview, that they are essential to kick-start the process. This coherent process self-channels psychodynamic energy toward self-healing. This nigredo, and the pro-active response to it -- the alchemical intervention -- is the initial condition that drives the alchemical process. This is the purpose, value, meaning and promise in depression or breakdown. Without this lowly ingredient, all comes to naught. Lapses in consciousness teach us as much or more than integration. Gaps in awareness open us to instant insight and intuition -- quantum leaps amplified by the "butterfly effect." Research shows that synchronized chaos may be engineered through perturbation and operational amplification, creating flexibility among many different behaviors. Isolated chaotic systems cannot synchronize, but parts can synchronize through supporting subsystems, like a phase-locked loop. Chaotic signals are generated which drive stable periodic behavior. The presence of chaos appears to be an advantage in controlling dynamic behavior, leading to flexibility and stability. In an initiatory process, just as small disturbances in chaotic systems radically alter their behavior (”butterfly effect”), tiny adjustments can stabilize behavior. In one form of mind over matter, changing attitudes can change our biochemistry and our subjective outlook. Chaos is the fertile soil of energetic translations of waves of unborn nothingness, the relentless flow of consciousness in search of embodiment and formlessness. Events are more fundamental than things. Novel events are possible in this esoteric paradigm that are unachievable in others. Solutions are not found as this or that, but in terms of degrees of fractional transformation, relative and novel relationships and fuzzy logic. Focus remains on unsolved problems and unfinished tasks, even if the destination of our journey remains undefined. Alchemy provides a complex system of imaginatively describing, symbolizing, testing and verifying results. Naturally, we should double-check our confirmation bias, which leads many practitioners to believe they have made the Stone. No two alchemists agree on what this idiosyncratic Stone might be. Jung understood it as transformational consciousness, the means and the goal of the process. Alchemy is an experiential creative ritual, an amplifier for superconducting consciousness. Small psychoenergetic perturbations, like our alchemical operations, can lead to large changes in the system. The chaos of relative nothingness becomes paramount. Process philosophy holds the promise of inexhaustible capacity for universal creativity and renewal, resacralization, and even sanity from chaos. More than an experiential process, this is a healing philosophy creating meaning and destiny. What is base within us dies as the more precious is resurrected. Or it comes back as a thing of many colors, sometimes described as a peacock's tail, a symbol of immortality. Chaos theory has emerged as a transdisciplinary study. Chaos is the synergistic science of change with constrained randomness. It describes the relationship of order, disorder and self-renewal. There are analogies between contemporary practice of sacred psychology, chaos theory, quantum theory, scalar physics and alchemical processes. They are more than metaphorical and illuminate our Transmodern quest for the Stone. Chaos demands we open to new possibilities, to the unknown, to mystery. Chaos is the hyperdimensional manifold of all potential orders. Chaos Theory has been associated with every aspect of human behavior. Alchemy is an irreducible fusion of mysticism, science and art that also happens to be therapeutic or growth-promoting and tantalizingly hints at illumination. The process begins with doubts and lack of conviction but time spent on self-knowledge, experiments and spiritual exercises is amply rewarded. Chaos keeps the process fluid. Alchemy calls chaos the "universal solvent." Alchemy is a nonlinear organizational framework, a model to make sense of our experience, and a means of facilitating transformation. The universe without and within is our alchemical laboratory. The fire is kindled and stoked in the ‘magic theatre’ of the mind and the retort vessel of the body. Alchemy plants virtual fractal seeds in the gaps or intervals of consciousness. You are the portal for the fractal seed to unfold its liberating potential. The universe is our "parent fractal". Matter and consciousness share deep unity. The outer world we observe through our senses is nothing more than a consistent series of mental images that exists in our mind. Matter itself is an image in the mind, and mental images are the behavior of consciousness. All conscious states are resonant states. Resonant states enable brains to learn about a changing world throughout life. Resonance arises when bottom-up and top-down feedback processes reach an attentive consensus between what is expected and what is in the world. Mining the soul, we disassemble ourselves to reorganize in more refined form, reintegrating at a holistic level. There are many ways to extract light from chaos. Alchemy calls Chaos the prima and ultima materia. As we practice spiritual and practical alchemy, we come to understand the deep nature of chaos. In this chaosophical philosophy, all systems emerge from and eventually dissolve back into chaos. Chaos Theory allows us to follow the Hermetic Spirit deep into the heart of matter and beyond into the subquantal realm in our quest for Nature's secrets. The undecomposible domain of Chaos is not an emptiness, but a rich, generative source -- a bornless nothingness from which all form emerges. The void of philosophy and the vacuum state of science is an unmanifest fundamental reality, a virtual field, which is an invisible flux not comprised of parts, but an inseparable interconnectedness. In this dynamic model, there are no "things", only energetic events. This holoflux includes the ultimately flowing nature of what is, and all that forms therein. This subquantal domain marks the limit of our ability to peer into the Mystery of nature at cosmic zero. At the human scale, we are blinded to this primal creative field -- virtual photon flux. Chaos theory as holism without wholes allows us to describe both psyche and matter in terms congruent with physical reality. This is simply the way nature works, and the way our nature works, too. Chaos provides a comprehensive psychophysical metaphor for uniting physical, emotional, mental, and spiritual realities. Because interconnectivity is more than metaphorical, realizations translate across disciplines. Metaphors reflect the interdependency of mind and body, and the embodied nature of metaphor holistically reflects the unity of individual and world. The events and experiences of our lives become embedded in our structure and metabolism. We might call this nonlocal entangled embodiment "metaphorms." Physics deals with the energetic aspect of the world. Information theory deals with the communicational or patterning aspect. Fractals, nature's dynamic self-organizing pattern, exist in the paradoxical space between dimensions, levels and forces of existence. They arise at the interface between processes, at boundary zones where they serve both to connect and separate multiple levels. They translate information/energy, structuring dimensions by adding or recursively removing structure, embodying process. Fractal dynamics escalate change from tiny to large scales. Self-organization is an emergent property of systems and organisms, from the cosmos to human beings. Chaotic dynamics governs the emergence of this new order from apparent randomness. The deep coherence of the overall process implies hidden or missing information for holistic patterning within the apparent "noise" or randomness of chaotic patterns. The metaphors of science have increasing relevance in the artworld and transmodern mysticism. Art and science begin as imaginative speculation that guesses at a unity or gestalt. The same holds true for alchemy. Metaphors reflect universal or holistic references and processes, connecting concepts across disciplines. There is a dimension of reality that transcends mind and matter. The creative act is one of uniting the unmanifest with the manifest world in a meaningful, often symbolic way. Such conception is relevant to consciousness, organization, structure, faith, subconsciousness, emotion, even spirituality. Above all, creativity means trusting the process. Investigation of the negentropic criterion helps us move toward a truly transdisciplinary doctrine for the artistic field of influence. Chaos Theory provides a metaphorical language for describing the flowing dynamics of the chaotic process of psychological transformation. Myths are like collective dreams; ritual is an enactment of myth; art is its expression. We create new philosophical and scientific myths to satisfy our need to understand our environment and give us some sense of control and understanding of our place in it. In science we call them ‘models’. Like metaphors, they provide a reference point without defining a reality. Alchemy is unbound. It evolves like any science or artform through revolutionary paradigm shifts that revision or reframe its philosophy of practice. Chaos theory is an organic model of creation. Chaos prevails from the infinitely small to cosmic levels. Dynamic processes are deterministic though unpredictable. All experience is subjective. Intuition is an informational source that is non-linear and therefore can create quantum leaps in consciousness. Using imagination, we can ‘see through’ to a deeper level of reality. Alchemists seek understanding of the relationships between all the elements -- fire, earth, air and water which merge in the quintessence or fifth element. Holistic vision is developed with experiments on matter and self, fantasy and meditation. In alchemy, meditation is an act of imagination fired by awareness and libido, "an inner colloquy with one's good angel." Creative insight, a new perspective on reality, emerges through transpersonal experience. Alchemy is also a thought experiment that plunges one into the upwelling spring of Nature feeding the roots of matter and psyche. Ultimately, these cycles of experimentation and reflection are warming acts of love that keep the gentle fires of the alchemical transformation going. The formula "VITRIOL" encodes the various operations of the alchemical process. Alchemists are contemplative researchers versed in the science of personal transformation and the art of inner magic. Alchemical insight ultimately short-circuits self-referential feedback loops, leading to breakthroughs in perception and quality of being. At the groundstate, mind is utterly emptied of all contents. Both physical and mental space dissolve in this exploration. A dynamic vacuum state of consciousness opens paranormal states of awareness and healing. In much ado about Nothing, the bubble of illusion (all mental and physical phenomena) bursts in primordial awareness. In the highest potential energy state, space, time, mind and matter dissolve into their Source -- the "melted vacuum" of physics, the "clear water" of the alchemists. In "Little Essays Toward Truth," Crowley declares that making the Stone is a continuous process of uniting the opposites. In fact, if we just take him quite literally at his word, perhaps he knew more than he let on: The Quest of the Holy Grail, the Search for the Stone of the Philosophers—by whatever name we choose to call the Great Work—is therefore endless. Success only opens up new avenues of brilliant possibility. "New avenues of brilliant possibility" is one possible way of saying "radiant potential" of Zero Point Energy -- the luminiferous ether. "We expect artists as well as scientists to be forward-looking, to fly in the face of what is established, and to create not what is acceptable but what will become acceptable . . . a theory is the creation of unity in what is diverse by the discovery of unexpected likenesses. In all of them innovation is pictured as an act of imagination, a seeing of what others do not see . . . “creative observation.” (Bronowski, 1958). “Scientists search for a ‘real’ and hidden, internal visibility (invisible to the naked eye) which will confirm the limits of identity. . .This is an act of limitation which inverts its own criteria by relying on a ‘depth’ model of identity, which is invisible, but gives visibility through microscopic magnification. Yet this search for an invisible core of identity remains open to a visible transgression via artists who are constantly exposing these new certainties as constructs.” (Sargeant, 1999). Alchemy calls Chaos the prima and ultima materia. In this chaosophical philosophy, all systems emerge from and eventually dissolve back into chaos. The trancendent principle "emanation" is primordial. All derived or secondary things proceed or flow from the primal Source. It eliminates will from the theory of creation. There is no hand of a supreme artisan who finds matter at his or her disposal. All things, actually or only apparently material, emerge or flow from the dynamic primal principle. There is an unmanifest fundamental reality, a virtual field, which is an invisible flux not comprised of parts, but an inseparable interconnectedness. In this dynamic model, there are no "things", only energetic events. This holoflux includes the ultimately flowing nature of what is, and also of that which forms therein. This subquantal domain marks the limit of our ability to peer into the Mystery of nature at cosmic zero, the undifferentiated matrix. At the human scale, we are blinded to this primal creative field, virtual photon flux. Chaos theory as holism without wholes allows us to describe both psyche and matter in terms congruent with physical reality. This is simply the way nature works, and the way our nature works, too. Chaos provides a comprehensive psychophysical metaphor for uniting physical, emotional, mental, and spiritual realities. Global recruitment is characteristic of chaotic patterning. It allows the best balance between random fluctuations, permitting discoveries and innovations. Changing the activity of just one element can unleash an avalanche of changes in the patterns that might have otherwise occurred (“butterfly effect”). A structural perturbation is a permanent transmutation for the functions of a network. Because interconnectivity is more than metaphorical, realizations translate across disciplines. Metaphors reflect the interdependency of mind and body, and the embodied nature of metaphor holistically reflects the unity of individual and world. The events and experiences of our lives become embedded in our structure and metabolism. We might call this nonlocal entangled embodiment "metaphorms." Fractals are a new way of thinking about structure and form. Soul is made in the imaginal field, in the fractal reiteration deepening experience by muting or facilitating expression and inhibiting or modulating participation or choice. Our universe is a system of interactive field phenomena, consisting of princples, domains or levels of observation (biology, physics, chemistry, etc.). Our anatomical shape displays motion (digestion, respiration, growing, moving, reproducing, thinking, etc) and emotion (open, closed, animated, repressed). Experience is sensuous. We see, feel, hear, taste and use metaphors of sensory experience to describe our emotions, thoughts, desires, intentions, and the processing and storing of the elements of experience itself. Mind is metaphysical, a reflection of experience in which we store and sort information in the form (shape) of our experiences. Experience is primary, our only test for truth, our only standard of knowledge. We want knowledge so we can improve our experiences by understanding the principles governing them. Metaphors are how we know what we know and what it's "like." Metaphoric language helps us intuit there is ‘more to the picture’ than we ‘real’ize. So do science, art and Hermetics with its system of correspondences. A metaphorm is any object, image, concept, or process that we compare to something else in the whirling chaos of unprocessed elements. Metaphorms imply relationships between things that we cannnot explicitly compare nor literally equate. It matters little whether a metaphorm is literally true or not. What is important is that it binds our lives to the vast unconsumable life of the universe, giving us a taste of immortality. Intuition involves both discovering new connections and innovative solutions. This is a synergetic process. Metaphorming encompasses all forms of metaphor including analogy, allegory, allusion, symbolism, and figures of speech. Compressed i nformation is embodied in the fractal nature of imagery and symbols. Illustrative art in alchemy uses reiteration to solidify meaning. Each image contains a fractal-like representation of the past. We can involve all of our physical senses in a synesthesia using every mode of thinking and felt-sense (stomach, abdomen, chest, throat) of our sensory-motor nervous system to create an identification or state change. Felt-sense is our physical awareness of life processes. The body takes precedence in bottom-up processing. Felt-sense helps us know what is at the edge of our thinking. We learn to articulate our implicit knowing. Focusing attention inward in the body, we learn to sense fear, tensions or openness in centers in our energy body. There is no disowning, but a re-embracing and expansion of the body in amplified identification, including cosmic zero-point. Old Millenium notions, (medieval, classical and Theosophical), of astral projection meant consciousness left the physical body in the subtle body of light and was free to roam the astral plane or travel to other places on Earth. It involved dissociation from the physical body to which the aspirant remained attached by a Silver Cord. It probably developed from Near-Death Experiences (NDE), the shutting down of certain brain processes in biological crisis, commonly including a tunnel of light. New Millennium soul travel is a slightly different approach, requiring no disowning of the gross material body in order to incorporate subtle aspects of the universal. In this sense, it stays perhaps closer to the alchemical phase state, One World. Rather than entering a trance state, the aspirant remains lucid, engaging in breathing and visualization practices. To journey outward or inward is essentially the same. Transmodern "etheric travel" means folding space and time, travelling without moving about one's conceptually expanded Being. It has been called cosmic consciousness. We can view ourselves as all parts of the gestalt, including the primordial ground as well as any systems within it. There is simply no sense of separation. It is a subtle but important shift in awareness. We can experience the whole spectrum of the taxonomy of altered or discreet states of consciousness (Tart), the "heavens and hells" or bardo states (Leary, et al) of other models. The field patterns of the finest organization of energy and matter also affect the evolution of the cosmos. You are a nonlocal quantum field entity in coherent connection with All. The energy “rush” of meditation comes when either the hyperarousal or hyperquiescent state “spills over” into stimulating its complementary system. When both parts (sympathetic and parasympathetic) of the autonomic nervous system go online simultaneously, the limbic system goes wild with emotion, total absorption and oceanic bliss. This phase space is reflected in the transgender reunion of male-female imagery of the kundalini serpent power and the yin and yang of the Tao and the royal wedding of Frater and Soror Mystica in alchemy. When both systems go into maximal discharge, this neurochemical flux is subjectively perceived as Absolute Unity of Being, boundlessness, timelessness, and sacredness. Our relationship to humans, earth, and cosmos is no longer one of a relationship to the Other. All sense of false self evaporates as ego dissolves. The unfathomable ocean of our virtuality is a dynamic energetic infusion, an expanded sense of NowHere, a leap of faith into the Abyss. We are challenged to fully comprehend the truth of our existence. This is how we become more than we formerly thought we were. As William James said, "My experience is what I attend to." Negative time extracts massergy from the limitless ocean of roiling subspace making negentropic or syntropic transformation in a nanosecond a real potential. The quantum vaccum is a highly anomlous universal energy realm of pure potential. We are that nondual dynamic "ocean of active information" in wave form. It is both the source and destination of all matter in the universe, and thus of any form of consciousness which may emerge through its autopoeitic process. The human brain, with its pronounced and constant state of chaos, could receive and amplify such signals, expressed both consciously and unconsciously in our biophsyical self and our ephemeral thoughts and intuitions. We integrate through our immediate experience of paranormal potential. We can live as uncollapsing quantum superpositions in that bountiful ocean of soul and spirit. Distractions cease, replaced by the direct impact of oceanic expansion of the energetically superdense quantum vacuum -- purely informational scalar force. We are modified physically in this way by breathing as the negentropic potential (bioplasma) of cosmos. Scalars are massless and vectorless -- neither ‘light’ nor ‘matter’, but longitudinally propagating fluctuations below the energy-threshold of particle pair-creation. This produces a self-generating cosmological feedback cycle which translates into interference patterns created by the motion of charged particles modifying the local topology of the vacuum. The modified vacuum field modifies in turn the motion of the particles and your being is transmuted. In a system driven beyond equilibrium, the subtle interconnectedness beneath its surface emerges to reshape the system itself. Even visual images can be derived from non-visual sources. Metaphorms are ways of implying likeness between things, such as the macrocosm and microcosm, the cosmos and the weird world of the quantum and subspace domains. Alchemy tells us, "As Above, So Below." In this way it anticipated our discovery of scale-invariant fractals. What is true for subspace is true for superspace. Our brain imposes its dynamics on everything we make--from concepts about the universe to techniques used to test or represent these concepts, from chaos to order. Process morphs connect us with everything we create and are influenced by. Metaphorming is a principal means of exploring the world, relating information from one discipline to another, connecting potentially all sources and forms of information. Metaphorms are expressions of nature's unity. Science also uses metaphorms. In Bohm's causal interpretation of QM, we inhabit an ocean of "active information"--the ever-flowing, ever-changing pattern of the meaning of life itself. The entire inner and outer environment includes the whole field of electromagnetic information, which patterns our electronic bodies. But we also are subject to the patterning effects of the whole of existence, a global pool of information, a pool of being, which is paradoxically rooted in non-existence. Physicists, artists and alchemists are metaphorming when tthey create words or images for describing novel relationships or creative visualization. Visual metaphorms, in particular, inspire hypotheses, and vice versa. Alchemists, scientists and artists take two facts or experiences that seem separated, and find a likeness in them, and create a unity by showing the likeness. All science-art is the search for unity in hidden likenesses. Somtimes they reveal themselves in synchronicities. Synchronicity is a bubbling up of ever-fresh forms, patterns, and connections that transcend all boundaries between mind and matter, the physical and the spiritual. Physics deals with the energetic aspect of the world, how elements bond together and interact. Information theory deals with the communicational or patterning aspect. Fractals, nature's dynamic self-organizing pattern, exist in the paradoxical space between dimensions, levels and forces of existence. They arise at the interface between processes, at boundary zones where they serve both to connect and separate multiple levels. They translate information/energy, structuring dimensions by adding or recursively removing structure, embodying process. Feedback creates pathways in fractal generation. Fractal patterns produce complicated networks as a result of the propagation of signals through them. Networks can be thrown into chaotic behavior in response to the propagation of complex input. Human beings are systems with many functions and feedback and feedforward paths. Transformation takes place as one configuration or expression changes into another in accordance with chaotic dynamics, global repatterning. Transformation can involve several, nonlinear phase changes. When a complex signal is propagated through a network with feedback or feedforward paths, some networks remain stable, and other network values "explode." The art of the therapeutic transformation means using "controlled accidents" in the ever-changing context of resonating mental spaces. The "accidentals" are intuitive communication from the unconscious, from the whole. The concepts of chaos and chance just describe our gaps in awareness, the phenomena of which we are ignorant. The objective (frater) and subjective mode (soror mystica) are not divorced from one another, anymore than the left and right hemispheres of the brain. They marry in the mystic, in entanglement with Cosmos. Science adapted the artist’s sense that the detail of nature is significant. Like yin and yang, they rely on one another in a dynamic meld that lies beyond the dialectic in the tension of opposites. Synthesizing and transcending opposites is the theme of alchemy. The metaphors of science have gained increasing relevance in the artworld and transmodern mysticism. Art and science begin as imaginative speculation that guesses at a unity or gestalt. The same holds true for alchemy. Metaphors reflect universal or holistic references and processes, connecting concepts across disciplines. There is a dimension of reality that transcends mind and matter. The creative act is one of uniting the unmanifest with the manifest world in a meaningful, often symbolic way. Such conception is relevant to consciousness, organization, structure, faith, subconsciousness, emotion, even spirituality. Above all, creativity means trusting the process. Investigation of the negentropic criterion helps us move toward a truly transdisciplinary doctrine for the artistic field of influence. The alchemical operation Solutio, the Universal Solvent is called "the root of alchemy," corresponding with the element water. It implies a flowing state of consciousness, "liquification" of consciousness, a return to the womb for rebirth, a baptism or healing immersion in the vast ocean of deep consciousness. It is a dissolution that precedes recrystallization. It facilitates feedback via creative regression: de-structuring, or destratification by immersion in the flow of psychic imagery through identification with more and more primal forms or patterns--a psychedelic, expanded state. Chaos Theory provides a metaphorical language for describing the flowing dynamics of the chaotic process of psychological transformation. The Hermetica included works on magic, alchemy, astrology, healing, gnosis, theurgy, ritual, and philosophy. These texts were based on sympathetic magic, that like substances sharing an essence could influence one another through resonance effects, synchronicities. Like cures like. 1). Separation from the profane or ordinary state of consciousness. Dissolution of the ordinary state of conscious. 2). The transition stage, or twilight zone which lies between them. Creative or chaotic consciousness. 3). The new order or perception of reality which occurs in the sacred time of the soul. Identification with ehanced sense of self, greater well-being. Hermes is The Magus, the magician, the lord of boundaries, or doorways, the threshold or liminal area. The inbetween, or twilight zone, enables a state of receptivity to become established. It allows an emptying process, a letting go. Ritual acts reawaken deep layers of the psyche. This brings the mythological or archetypal ideas back to memory. Myths, according to d’Aquili, present themselves as systems of antinomies, or opposites: heaven/hell, good/evil, life/death. Because of a basic function of the brain he calls that ‘binary operator.’ This function abstracts qualities of things and arranges them as pairs of opposites, or dyads, whose meaning is intimately related to its partner. He conjectures that it is located on the inferior parietal lobe of the dominant side, and is one way the mind seeks to understand the world. Myths play on these antinomies and propose solutions to them. Myths are like collective dreams; ritual is an enactment of myth. So, we create myths to satisfy our need to understand our environment and give us some sense of control over it, or an understanding of our place in it. A given myth has stability of structural relationship and meaning. In science we call them ‘models’. Like metaphors, they provide a reference point without defining a reality. What's New with My Subject? Meditatio, Imaginatio, OperatioAlchemy is an irreducible fusion of mysticism, science and art that also happens to be therapeutic or growth-promoting and tantalizingly hints at illumination. The process begins with doubts and lack of conviction but time spent on self-knowledge and spiritual exercises is amply rewarded. The Universe is a fractal manifestation of the interaction or interdependence of chaos and order. Nature and evolution are complimentary systems evolving at the edge of chaos the source of the genesis of new forms. Like a fractal, the individual embodies the whole, to a greater or lesser degree. We are neither exclusively biological nor psychospiritual beings we are both/and psychobiological. Alchemists seek understanding of the relationships between all the elements. Holistic vision is developed with experiments on matter and self, fantasy and meditation. In alchemy, meditation is reflection, inner dialogue and an extended act of active imagination fired by awareness and libido, "an inner colloquy with one's good angel." Transpersonal experience creates a new interpretation, or perspective on reality. Systems arise from positive feedback and amplification. Thus, archetypes introduce erratic behavior that lead to the emergence of new situations, including creative insight. Both perception and cognition can be modeled as a transition from a state of chaos representing the unrecognized condition, or the unresolved problem, to a state of order. Creativity or learning can emerge spontaneously, from exploring states of confusion, to the instantaneous insight of a “Eureka” moment, or knowing state through bifurcation to a new attractor, to chaotic resolution. The trick is experiencing "emptyness" as the initial condition of consciousness. The openness of empty awareness is the key. At supercritical junctions we either breakdown (emergency) or increase adaptation (emergence) with more creative solutions. Creativity is an excited-exalted state of arousal with a characteristic increase in both informational content and the rate of information processing. Creative holistic repatterning is introduced into the human system through the psyche as nonmanifest yet phenomenological images, symbols, and patterning information. In the Transmodern union of opposites, the real and the unreal are no longer opposed. The concept of reality emerges, no longer bound to the material world but turned into fiction because of it. Reality and existence are no longer synonymous – it is a type of reality that continues to “be” even when it may not “exist” and does not comply with the simple status of simulacrum -- virtuality. Thus alchemy shares much in common with quantum mysticism and the holographic paradigm which seek the secrets of nature's subquantal realm. Doing so creates a hyperreality, revealing a glimpse of the future. We can tap the source of creativity, healing and holistic restructuring through imagination and metaphor. The possibilities for concepts and thought are shaped in very special ways by both the body and the brain that evolved to control it, especially the sensory-motor system. Conceptual metaphors appear to be neural maps that link sensory-motor domains in the brain to regions where more abstract reasoning is done. This allows sensory-motors structures in the brain to play a role in abstract reasoning (Lakoff, 1999). In fact, when metaphors are synchronistic, emergent, spontaneous, self-organizing expressions of our dynamic stream of consciousness, they are an imaginal encoding of information that bridges the domains of conscious and unconscious worlds, material and transpersonal realms. Such metaphors can be deeply transformative -- more than mere language. They are a technology for changing our behaviors, feelings, thoughts, and beliefs. Intentional contact and immersion in these metaphors can transform our spirit and soul. A dynamic vacuum state of consciousness opens paranormal states of awareness and healing. In much ado about Nothing, the bubble of illusion (all mental and physical phenomena) bursts in primordial awareness. In the highest potential energy state, space, time, mind and matter dissolve into their Source -- the "melted vacuum" of physics, the "clear water" (Cole, 2001) of the alchemists (Lambspring). This unencumbered non-dual state is innate radiant potential. The upwelling geyser of all internal and external phenomena emerge from this dynamic absolute space beyond all internal structure. The transition from chaos models the sudden moment of insight -- the "a-ha" or "eureka", deductive cognition, sensory recognition and decision-making -- or the bursting bubble into primordial awareness. Computational predictivity is thus complemented by conscious anticipation enabled through quantum transaction and manifested in the transition from chaos. The fear, danger, anxiety and stress produced during confrontation with the transpersonal psyche can create a personal catastrophe, a spiritual emergency. Catastrophic chaos usually leads to what is called a bifurcation or splitting of the energy in two different directions. The experience may be shattering. The interface of the conscious ego and the numinous must be effected with some care so the later doesn’t take over. But sometimes regression serves the process of evolution and leads to creative transformation and renewal of the self on a higher level. Therefore, the potential benefits of the transformative path make the risks worthwhile. Rather than breakdown, it may lead to artistic, scientific, or spiritual breakthrough, creativity and expression. Alchemy is a science-art, a tool to describe and mold reality using experimental and meditative techniques. As an art medium, alchemy helps us illustrate nature and our own nature in contemporary terms by creating new paradigms and environments. Alchemists manufactured and articulated theories of reality and healing fantasies of the body/soul/spirit, as well as dyes, paints, and medicines or improving the quality of metals and glass. Alchemy is a tradition of particpatory wisdom. Medieval alchemy was couched in the archaic language of its time, but we are not limited to that, nor to theological, Hermetic, Masonic, Theosophical or New Age jargon. Philosophies and sciences evolve in articulation, theory and practice. New discoveries and statements of meaning inform our practice at all levels. In many cases, alchemy anticipated them. Our worldview has evolved to include quantum physics and dynamics in our models of reality. In the 20th Century, Carl Jung described alchemy in terms of depth psychology and shed new light on an old science. But that discipline continues to redefine itself. Jung's notions of a heroic, striving Self have been transcended with imaginal, nonlinear models of consciousness, archetypes as strange attractors and healing fictions. Can we expect any less from 21st century alchemy itself? Alchemy is a multidisciplinary pursuit focusing on mystic technologies, life sciences, metallurgy, chemistry, dynamics and physics. We can take a revolutionary view of today's alchemy as dynamic process in terms of Chaos Theory and its related sciences. There are analogies between contemporary practice of sacred psychology, chaos theory, quantum theory, scalar physics and alchemical processes, some of which are more than metaphorical. Metaphor is Nature’s language. Matter has lost its central role in physics. Mass/energy and light are interacting abstract oscillating excitations of the vacuum. Nothing actually oscillates. There is aesthetic pleasure in finding likenesses between things once thought unalike. It gives a sense of richness and understanding. The creative mind looks for unexpected likenesses, through engagement of the whole person. We can draw from the organic metaphors of illumination, quantum physics, field theory, and chaos theory to illuminate the state of the arts. Physics describes the interrelationship of chaos and order as field relationships, while chaos theory describes nature’s own methods of creation and self-assembly. Entropy is the tendency for any closed part of the universe to expand at the expense of order. It is a measure of randomness and disorder -- chaos. Negentropy is the generative force of the universe. The "melted vacuum" of absolute space, where quarks, electrons, gravity and electromagnetism are the same, is an infinite supply of radiant energy -- virtual photon flux. Negentropy (emergent order from chaos) is a nonlinear higher order system, a dynamically creative ordering information. Thinking, science, and art are therefore negentropic. Negentropy, like art, is ‘in-form-ative.’ It is related to mutual information exchange. Information is embodied in the fractal nature of imagery and symbols, which compress the informational content of the whole. Creativity is an emergent phenomenon patterned by strange attractors, which govern the complexity of information in dynamic flow. In the artistic process, collapse is consistent with focus; focus is consistent with selection; selection is consistent with the resonance or stimulus. The stimulus is consistent with the physical reality and reality is consistent with collapse. In quantum chaos, this collapse is a cascade leading to an entirely new organization – to emergent creativity. The whole process is a flow or condensation of potential of consciousness. The gauge is the perspective of consciousness or imagination. We are free to choose our perspective. The essence of our time-bound experience is receptivity to experience, to flow within the vortex. When we experience our timeless nature – our unbound self -- there is no flow, only resonance. We have the freedom to choose our point of focus or resonance. We can be stimulated by probability or chance, by the chaotic creative process underlying all reality itself. It's only when the cosmic fields descend to the fourth lowest order physical spacetime field that the QED laws of physics come into play -- which governs the nature and interrelationships of the fundamental particle-wave forms and their combinations into atoms, molecules, etc. In this model (of fundamental physical/material reality within overall cosmic reality) if we follow its analogous fractal involved hyperspace progression, it becomes patently obvious that both mind and memory are coenergetic (resonant) information carrying fields that act as the medium between the sensory processing mechanisms (neural correlates) and the unconditioned awareness/will (as potential phenomenal functions of unconditioned absolute or primal space). Thus, the difference between the latent consciousness of a stone, and the active or phenomenal consciousness of an organic, self replicating sentient being -- is the ability (or inability in the case of the stone) to link sensory information with awareness/will through a chain of electrochemical (neural) processing stages and their resultant, assembled EM information field, coupled with higher frequency phase order, fractal involved harmonic (wave interference patterned information carrying, phase conjugate adaptive, resonant) radiant energy fields -- that are generated, along with the neural field, from a common (or holonomically entangled) zero-point center of consciousness.